After subbing the whole of Goseiger, TV-Nihon recently released the 2010 Super Sentai summer movie Tensou Sentai Goseiger: EPIC on the MOVIE subbed! It is available in both Blu-Ray and DVD version. 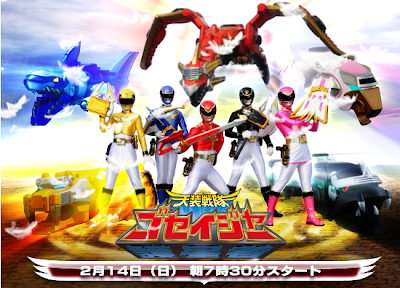 Download Tensou Sentai Goseiger: EPIC on the MOVIE!